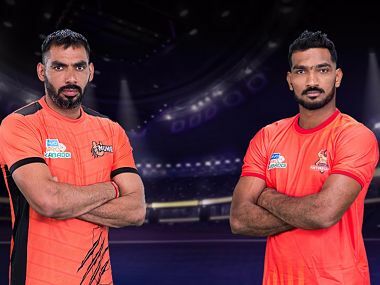 Report: A superb all-round performance by Puneri Paltan saw them register a comfortable 37-25 victory over Haryana Steelers in the fifth Pro Kabaddi League (PKL) on Tuesday. Sandeep Narwal (nine points), Rajesh Mondal (seven points) were the main contributors but it was a real team effort which led Pune to victory. The Puneri Paltan raiders chipped in with 15 points whereas the defence contributed 17 points. For Haryana, Surjeet Singh was the sole performer as he ended up with nine raid points. Puneri Paltan are now third in Zone A with 42 points from 11 matches. Haryana Steelers remain second with 49 points after 16 matches. Puneri Paltan led 2-0 in the first minute after scoring a raid and tackle point. 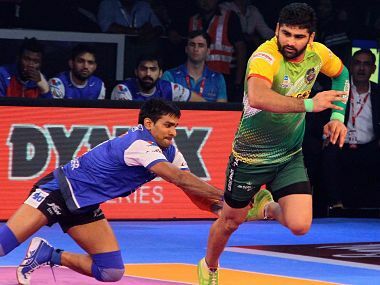 Wazir Singh made a successful raid in the second minute to open Haryana's account. Both teams were neck and neck after five minutes with the score level at 4-4. Rajesh Mondal made a successful raid in the 9th minute to give Puneri Paltan a 7-4 lead. Haryana Steelers fought back to make it 7-7 in the 10th minute. Deepak Hooda made a successful raid in the 17th minute to give Puneri Paltan a 10-9 lead. Puneri Paltan inflicted an all out in the 18th minute to lead 16-10. Haryana Steelers went into the break trailing 10-16 and scored two points in a minute at the start of the second half to trail 12-17. Puneri Paltan were looking in control of the match as they led 20-13 after 25 minutes. Surjeet Singh scored with a two-point raid as Haryana Steelers trailed 17-22 after 30 minutes. Rajesh Mondal restored Puneri Paltan's seven- point advantage with a two-point raid in the next minute. Puneri Paltan inflicted an all out in the 35th minute to lead 33-20. Haryana Steelers were looking hapless and completely out of sorts as they couldn't match their opponents' intensity. Surjeet Singh scored with three successful raids as Haryana reduced the deficit to 24-35 in the 38th minute. Puneri Paltan were the better defensive unit on the night as they won the match 37-25. 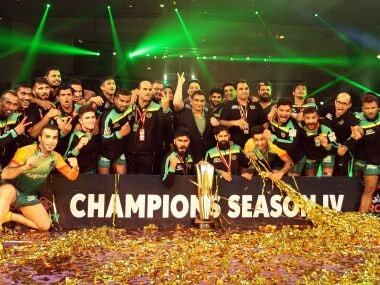 Did Pro Kabaddi League dilute its intensity by expanding duration, teams in 2017 edition?